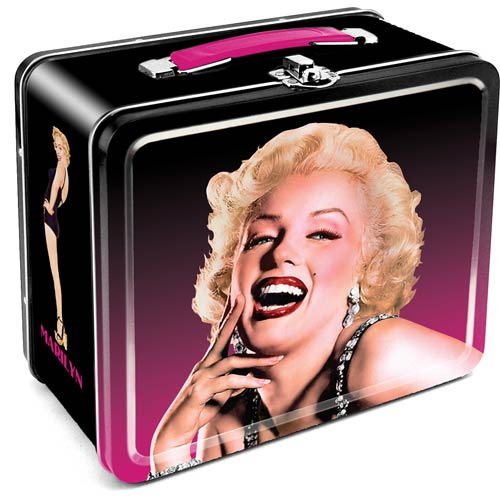 Shopping for Marilyn Monroe Tin Totes? Fans of Norma Jeane, take note. This gorgeous Marilyn Monroe Large Fun Box Tin Tote was made just for you! The beautiful tin tote features Marilyn in full color and measures 7 3/4-inches wide x 6 3/4-inches tall x 4 1/4-inches long. Ages 14 and up.